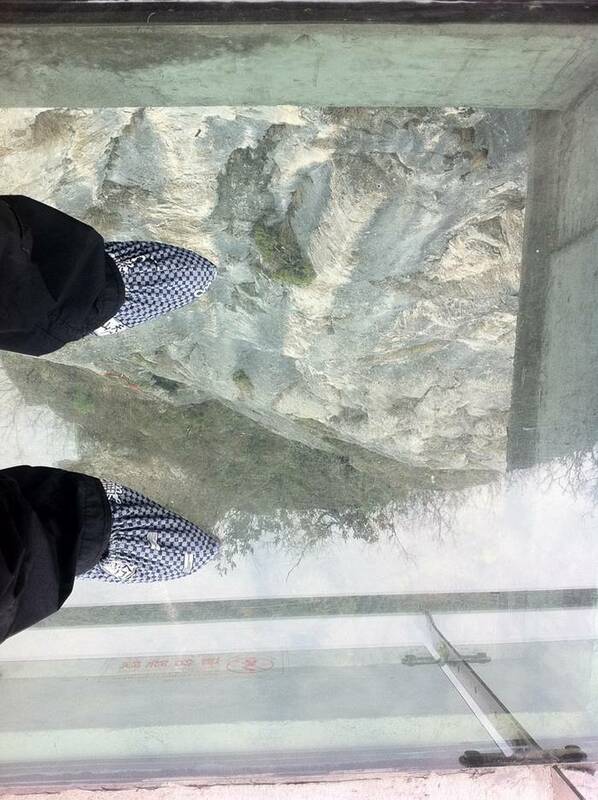 … ever walk on this thing! 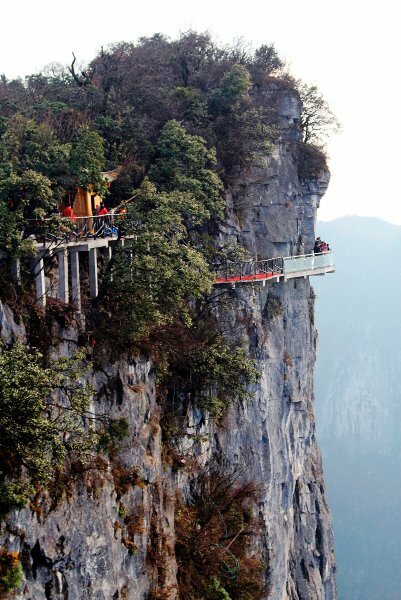 On one side a sheer rock face, on the other a 4,000ft drop – and all to separate the brave traveller from a deadly plunge is a 3ft-wide, 2.5in thick walkway. 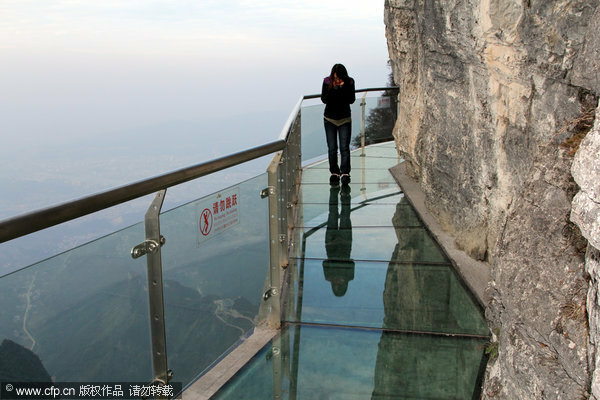 And if that is not enough to bring terror into the pit of your stomach, the path running alongside a Chinese mountainside is made out of glass, allowing a crystal-clear view of what is beneath you. 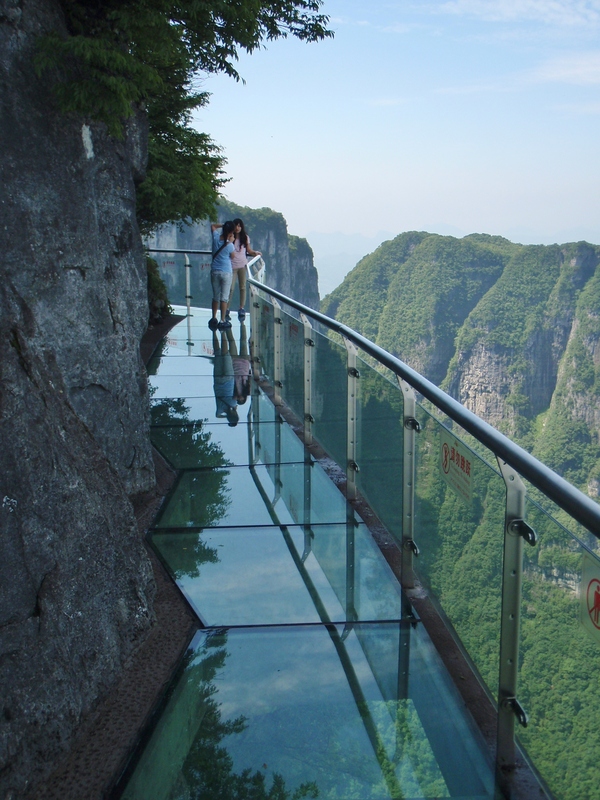 So, if you have the courage and you are not afraid of heights, then you can afford to walk on this very special skywalk in your visit to Tianmen Mountain, the second national forest park in Zhangjiajie region, China. While I imagine the views to be out of this world, I just wouldn’t be able to calmly walk across the bridge or enjoy anything I see. And in the spring, just breathtaking. And if you make it to the end, this is where you end up. Awesome? yes. Do I want to visit? of course! but I can I walk on it, don’t think so.. There is a piece of glass that you can walk on in the CN Tower (in Toronto)… took me a good while to get the courage to walk across ~ 5 feet as its very disturbing visually! 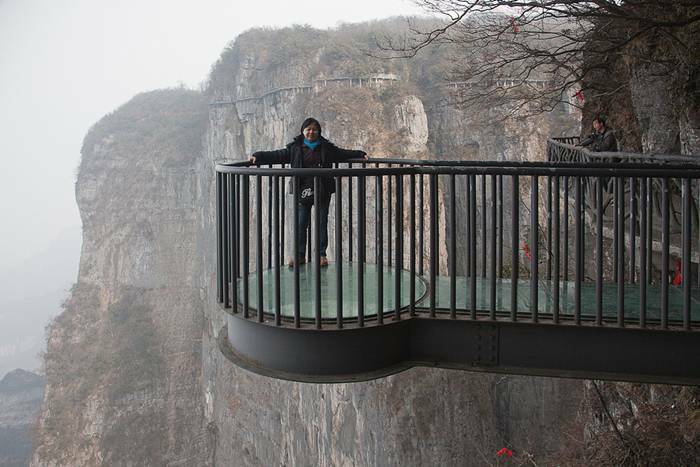 so scary, i don’t think i could walk on that.. I am not sure I could do this. Wow – I am so impressed – how beautiful our world is. Holy S. NO WAY. But it is a really pretty place!!! 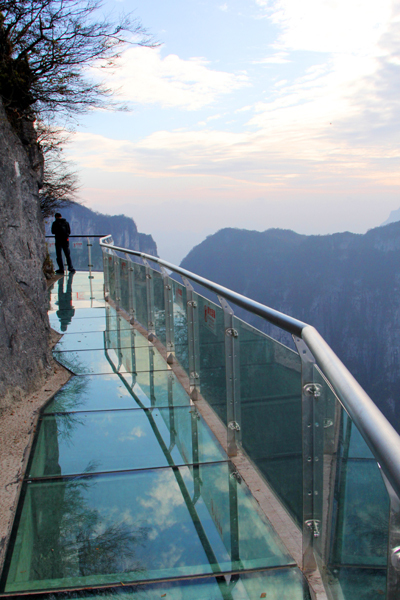 I have just put this on my bucket list to visit before I die…one of the most breathtaking places I have ever seen. Excellent have see this on walk ways in buildings.but that’s far better.. But you must have done it to take the photos. Well done! Amazing looking place! It would have definitely been an exhilarating yet harrowing experience.